You are among California’s four million recreational boaters who visit marinas, lakes, rivers and the ocean seeking an enjoyable outdoor recreational experience. In order to ensure that your time on the water is safe, it is important for you to know and follow the regulations and guidelines found here in this booklet. 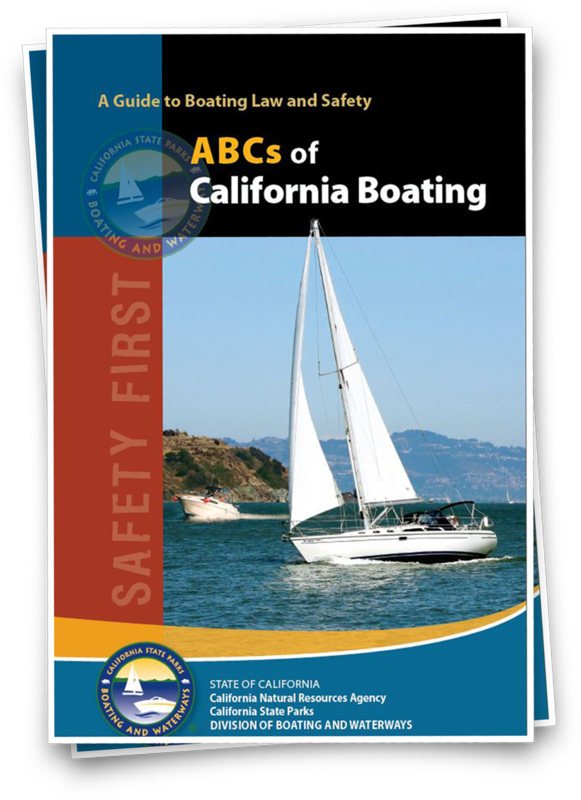 The ABCs of California Boating is based upon the California Harbors and Navigation Code, Vehicle Code, Penal Code and California Code of Regulations, but uses everyday terms rather than legal language found in these laws. Not all provisions of law pertaining to boating are included. Consequently, the booklet is not suitable for use in law enforcement or in litigation. You may read through this online copy or order a free copy to keep on your boat.